The Collegiate Hotel offers unique and inspiring spaces for your next gathering. Our event and meeting venues, all located in the heart of Auburn, Alabama, are perfect for bringing people together no matter the occasion. 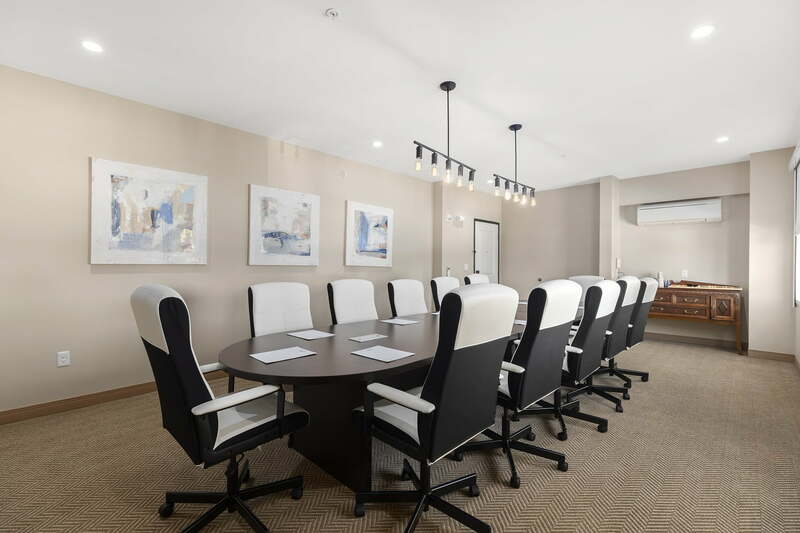 Our Boardroom is an ideal space to conduct meetings with a conference table that seats 16. 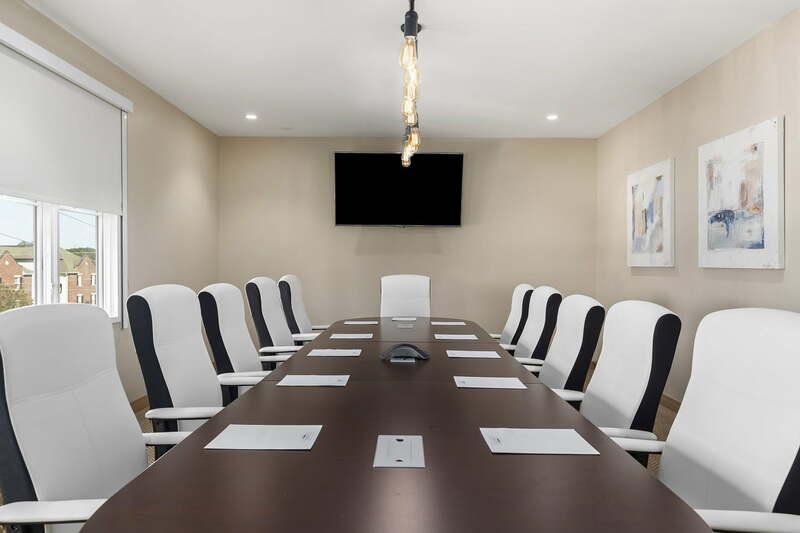 The modular boardroom table can be removed or configured for a variety of needs. 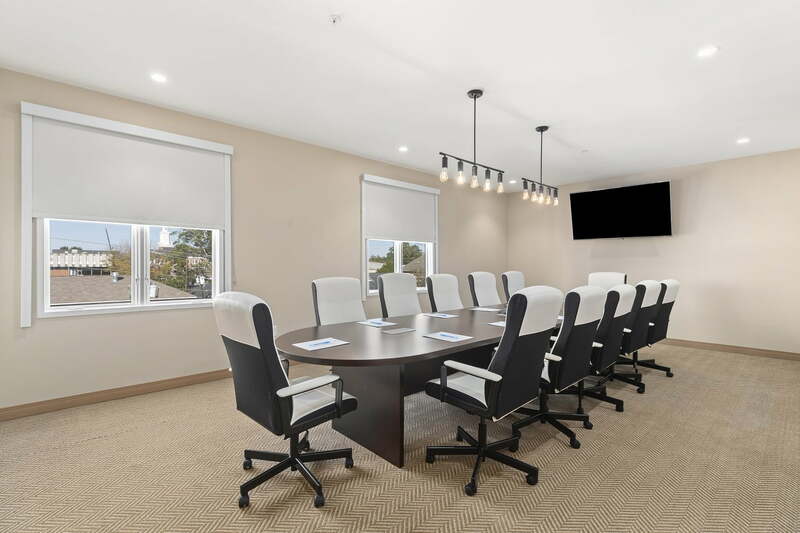 The room is equipped with the technology you need to have a productive gathering, including a large presentation TV and telephone audio conferencing capabilities. Perched atop the hotel, our rooftop venue offers sweeping views of Auburn’s iconic skyline. The open layout provides numerous gathering possibilities! From an intimate seated dinner celebration to a casual cocktail reception or a truly unforgettable wedding, the Rooftop is ~1,200 square feet and can accommodate a number of needs for up to 100 guests. With convenient access from the Hotel’s main lawn and hotel lobby bar, our generously-sized southern porch makes a perfect venue for a variety of social gatherings. The 750 square foot space is furnished with comfortable social seating and with the use of the lawn can easily accommodate parties up to 60. Be among our first brides to have the loveliest wedding on the Plains by taking advantage of The Collegiate Hotel’s beautiful rooms, rooftop patio, and generously sized wrap-around porch. These one-of-a-kind spaces offer unparalleled views of Samford Hall and Auburn’s campus that are perfect for a rehearsal dinner, wedding, reception or all the above.